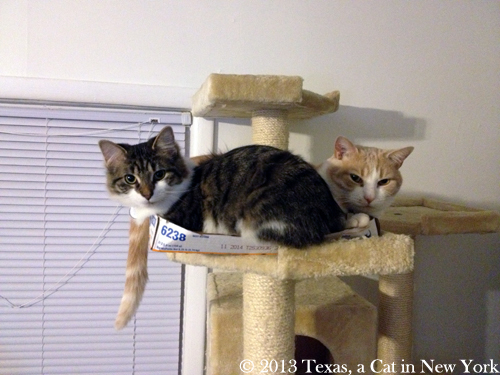 We still have a not-so-good weather where we are so we are glad that we can take a break from our naps to announce the winners of the two Shelter Cat Dolls! The winners were drawn using Random.org. Since Ann was the first winner drawn, she will get to choose which doll she wants. You will soon both receive an email from me! We would like to thank again Ms. Darlene Margeta and Dream Pillow for their dedication, creativity and generosity! 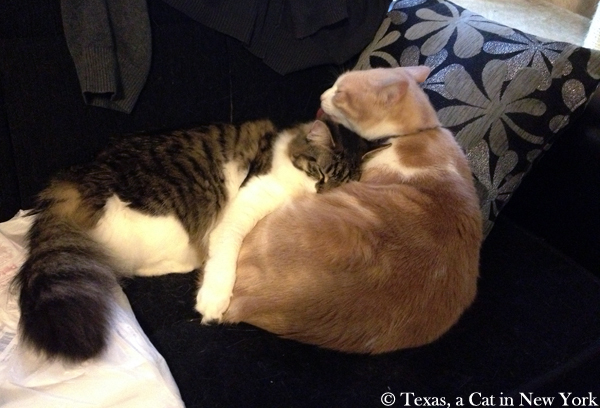 Dream Pillow and Shelter Cat Dolls + a Giveaway! My human says that was serendipity that brought her to meet Ms. Darlene Margeta of Dream Pillow and to discover her work. While she was wandering around the East Village in Manhattan a few weeks before we moved, she saw something that caught her attention in the window of a little herb store called Flower Power. 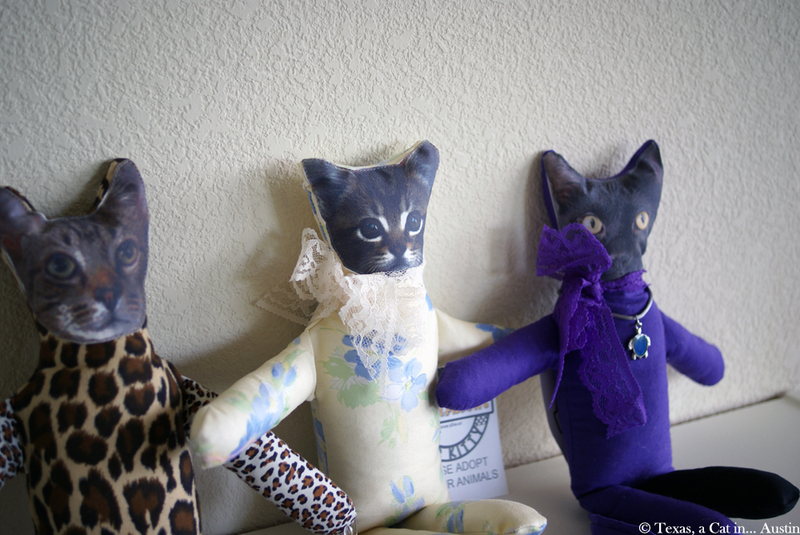 There were artisan-made cat dolls with different faces! 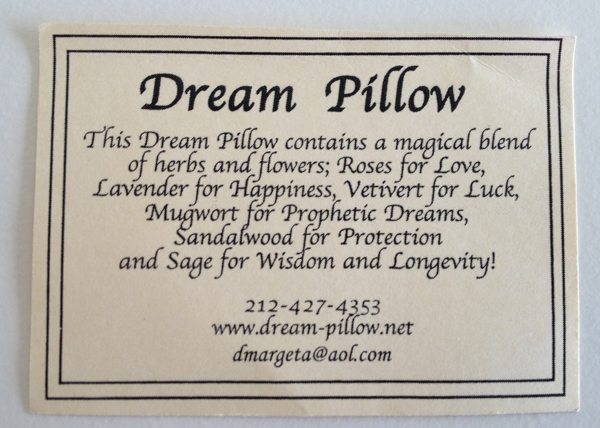 She entered the store to ask for information, and was given the name of the company that make them: Dream Pillow. She was also told that part of the profits for the sales of these dolls benefit an animal shelter. My human had to learn more! She contacted the furry nice lady at Dream Pillow to discuss her products and they met at the French Market on Broadway and 36th St.
Dream Pillow makes products entirely handcrafted in New York: pillows, sachets, and cat dolls, that are filled with herbs and flowers, and they smell sooo good according to my human. Among other herbs, they contain lavender that comes from France! 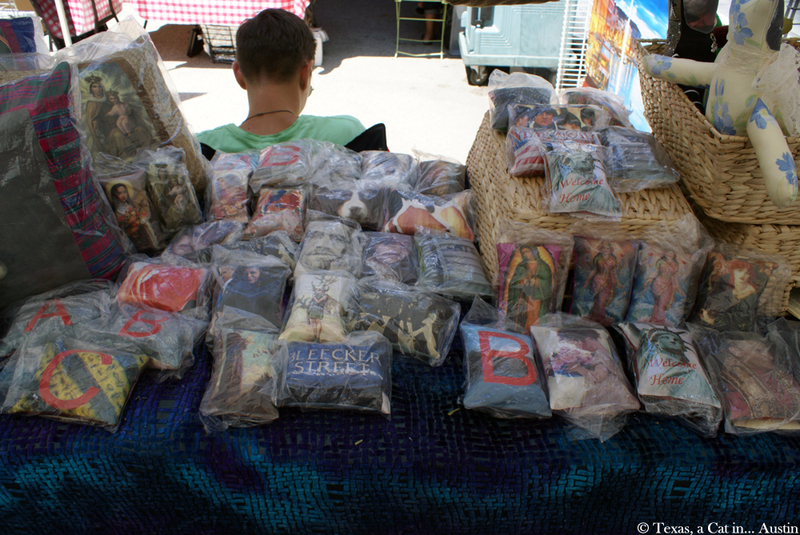 The pictures on each product are pictures taken by Ms. Margeta or pictures sent from clients for a customized work. 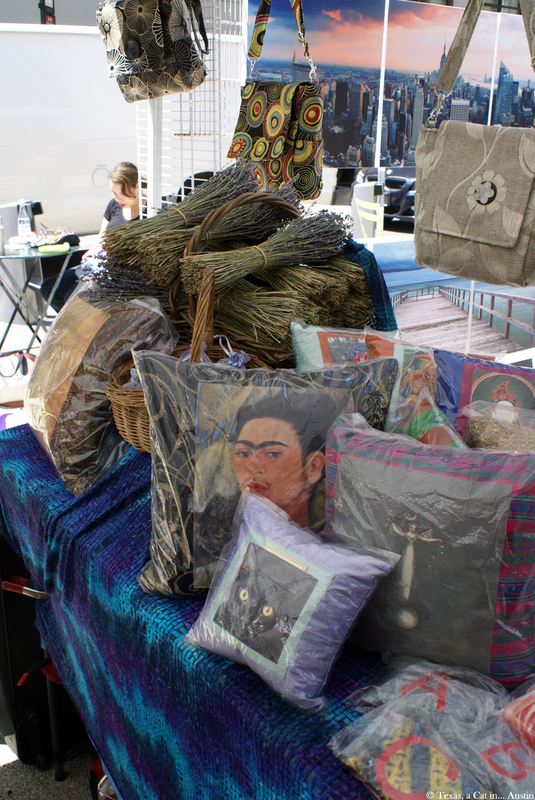 Ms. Margeta has been making these products with the help of a herbalist for about 20 years. 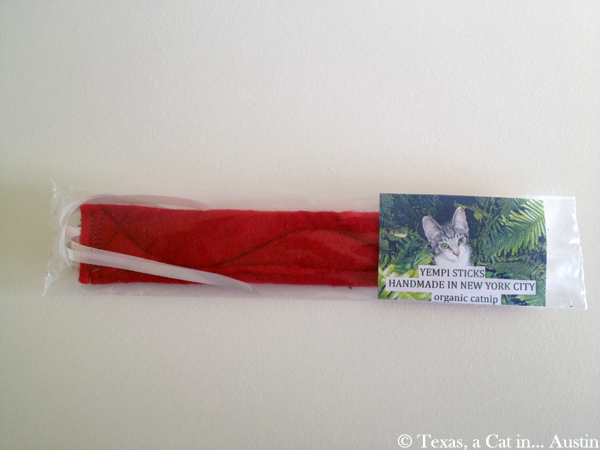 They also make catnip sticks that we tried and loved! 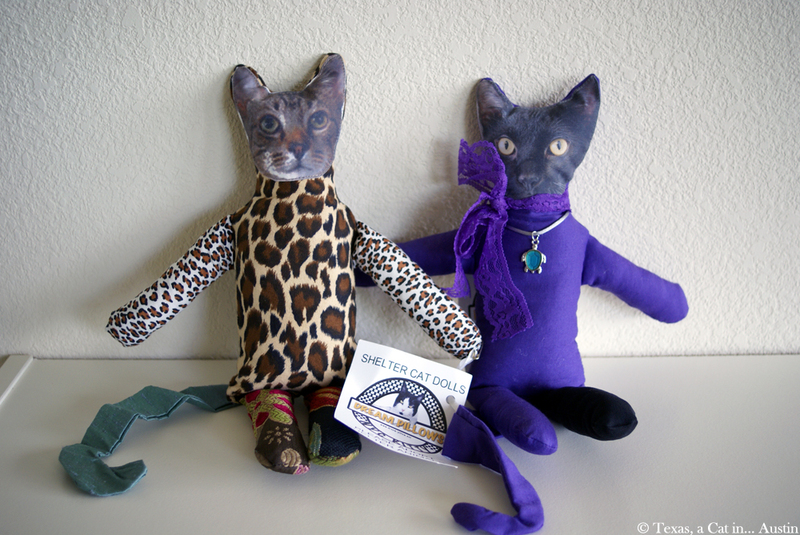 Our new cat dolls are not for cats, but for people. They are replicas of actual stray and abandoned cats rescued by City Critters, a local rescue shelter and adoption organization. We donate $3 to City Critters for each doll we sell. The dolls contain lavender and fiberfill. Fabrics used for the coverings are assorted. Like cats. Dimensions: 15 inches tall, with long tails. Wouldn’t it make the purrfect gift (hint: Christmas is in 1 month!) 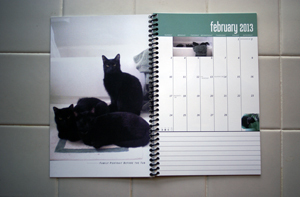 for your human or a human’s friend, and for the kitties it may help? 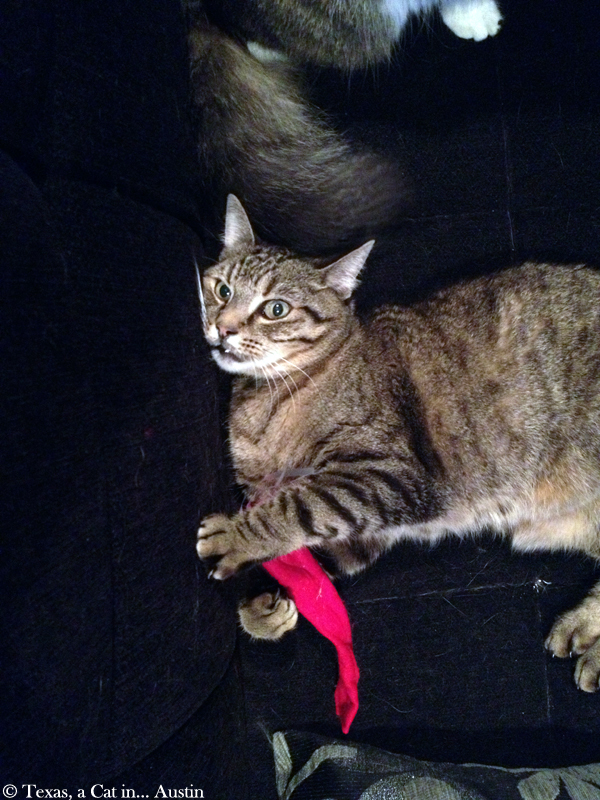 Ms. Margeta, which my human really enjoyed meeting, has loved animals for as long as she can remember. She was raised with lots of animals around. Her grandmother had barn cats that would wait besides her when the cows were being milked. Of cats, she says they are like “a piece of art” that are very beautiful, have a sense of humor and enable you to relax. As an artist, she obviously connects with us kitties! 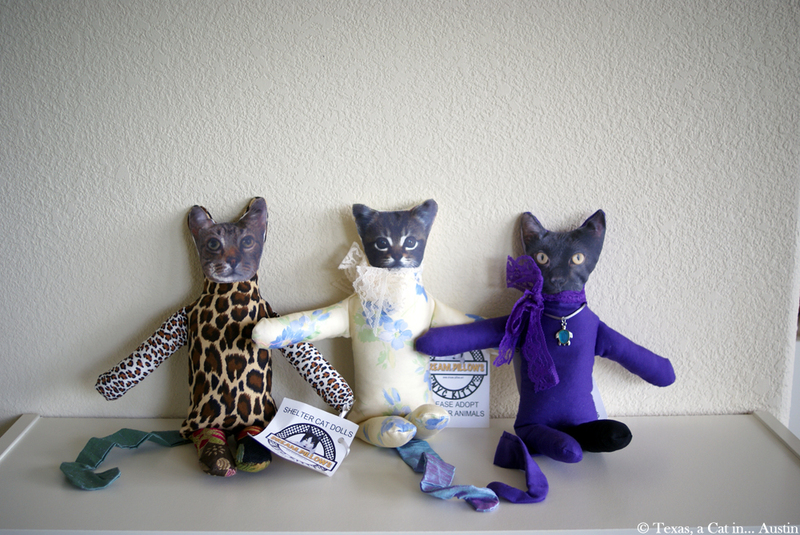 The idea of the cat dolls came when she was taking care of several stray cats in the East Village of Manhattan. She was feeding them and caring for them, until the day they were not welcome in the area anymore. City Critters came to the rescue. She herself kept a couple of kitties. With the dolls, she wanted to help City Critters in return. 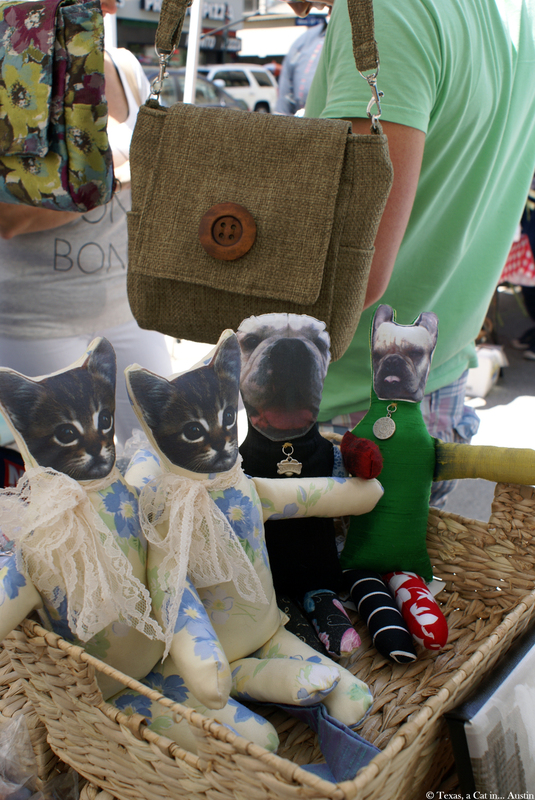 The faces of the dolls are of shelter cats and dogs and can be customized with a picture of a kitty in your family (or a doggie…). Of course, she is owned by several kitties: 11 rescue cats live in her studio, 3 in her apartment and she also feeds feral cats outside. A calico kitty is her artist cat too! You can see pictures of the kitties here. 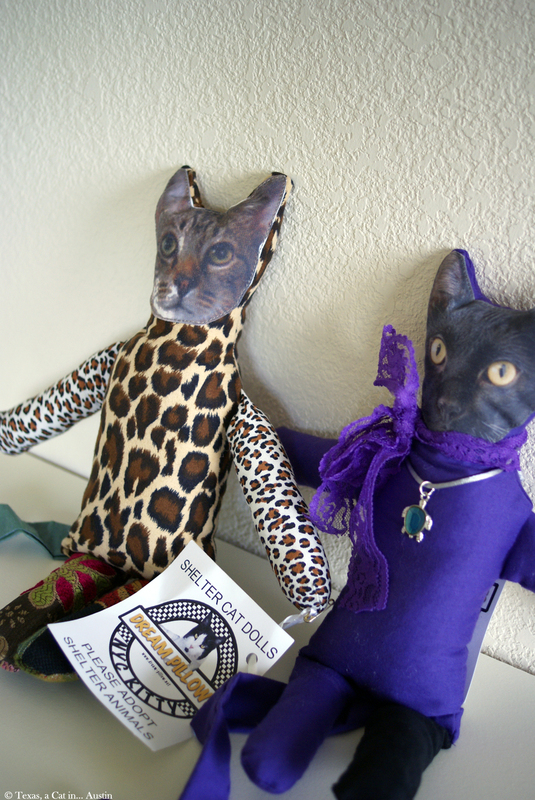 Now in order to help the kitties too, my human has bought two dolls, one of which one of you will be able to win. Another doll has been generously given by Ms. Darlene Margeta. Yes, two shelter cat dolls will find a home among you, my readers. What do you have to do to win one? 1. Go visit Dream Pillow’s website here and tell me, in a comment below, which of their products – rescue dolls excepted – you prefer. This cannot be the doll, this must be another product. 2. For an extra chance to win, share this giveaway and post in a separate comment the link(s) to where you shared. You have until Sunday, November 24, 11.59 pm central time to enter! The winners will be drawn thanks to random.org and will be announced on November 26! The first person drawn will be able to choose which one of the two this person prefers. If you cannot wait, or are not one of our lucky winners, you can visit Dream Pillow’s website and order the products you like by emailing them. Their contact information can be found here. 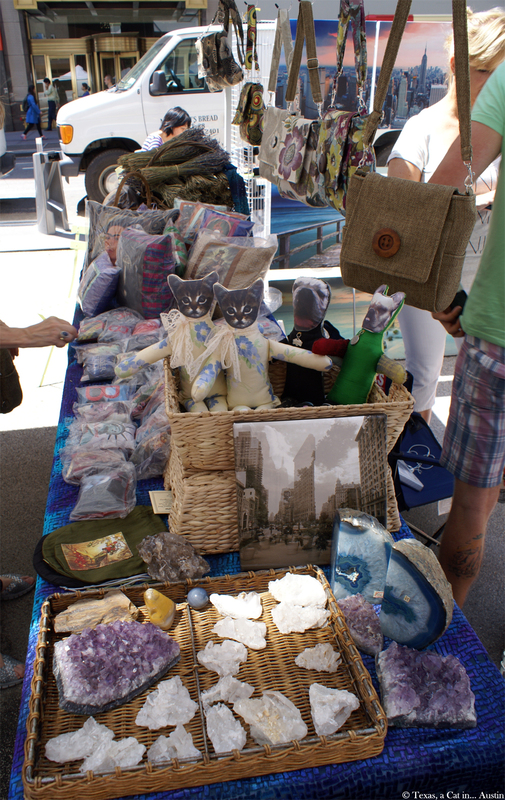 If you live in the NY area, you can buy Dream Pillow products at the Broadway French Market (information here). We really like their products and we are delighted to share and think it would make an original and furry nice idea of gift for humans! Disclosure: We did not receive a compensation for this post. Opinions are our own. 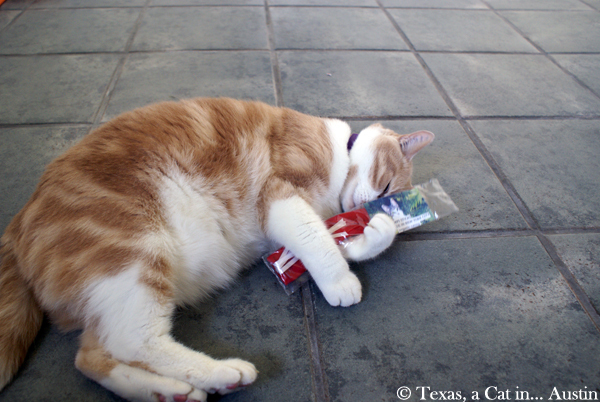 We were offered a sachet, as well as 2 catnip sticks, to test the products. Dream Pillow generously donated one rescue cat doll for the giveaway. I decided to wait a couple of days before posting the poems to make sure everyone would see the main post for the giveaway. 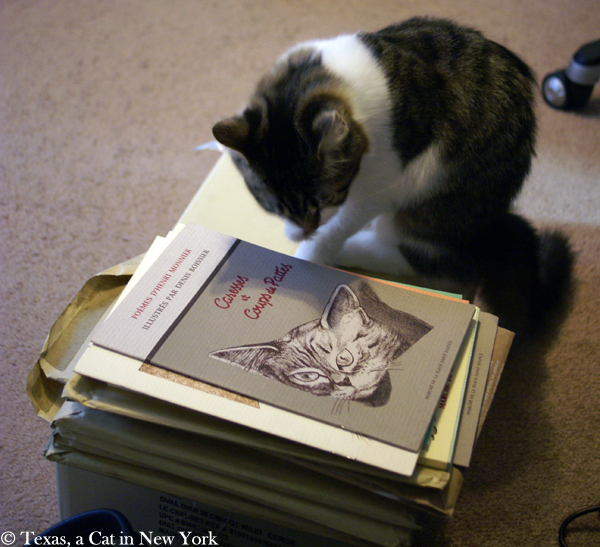 Then, when I was ready for my human to post the poems… she was busy reading. She devoted her free time to finishing the lovely book Love Saves the Day, which she absolutely wanted to finish once she had started it! Anyway, when my human interviewed Henri Monnier, author and publisher of the books you can win, he authorized her to copy and translate 2 poems on my blog, for my readers. All rights reserved. My human tried her best to translate the two poems I chose, but she thinks a little is lost (most of the time) in translation, especially in poetry with rhymes and sometimes a certain number of feet. Also many words in French which have the syllable “cha” (sounding like “chat” or cat in French), used purposefully by the author, are lost in the translation. De quoi faire encore quelques bonds. Aux animaux de la malchance. N’est-ce pas un peu émouvant. Vous servirez la bonne cause. De quoi faire sa bonne action. A sa manière, une prière. Et quand c’est parti, tu ronronnes. Toi aussi, t’as besoin qu’on t’aime. 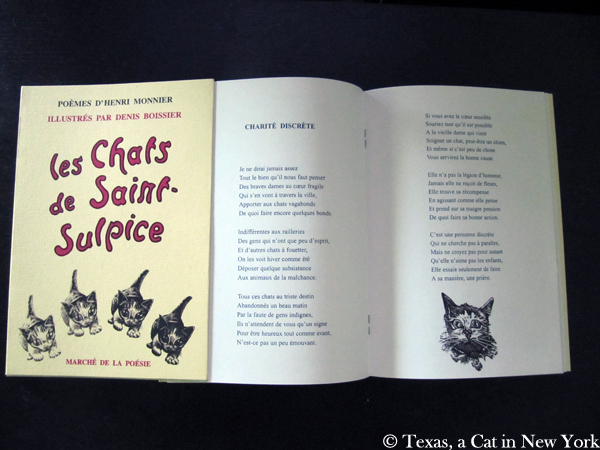 Henri Monnier’s Cat Poetry & Denis Boissier’s Cat Illustrations + a Giveaway! 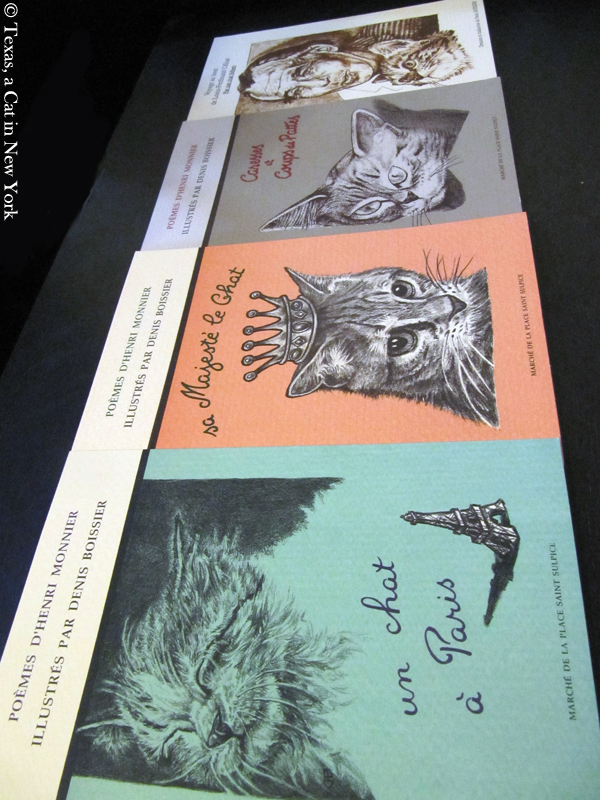 These are small books (less than 20 pages, except for “Les chats de Saint Sulpice” which is a collection of the others) but very nice books of poetry and illustrations on cats. 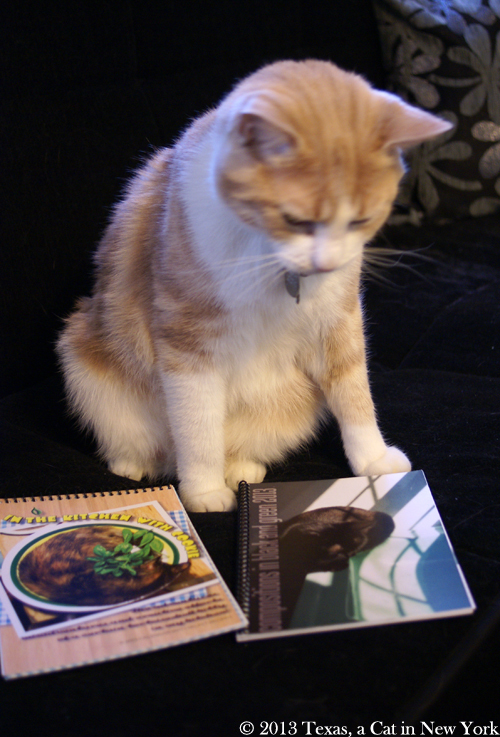 There are 4 different books of poetry on cats. Oh and yes, there is one on dogs, too. The poetry is in French. Those who know French will really appreciate the talent of the poet, Henri Monnier, and the way he is playing with words. Poems are sometimes funny, sometimes moving, sometimes both and much more. 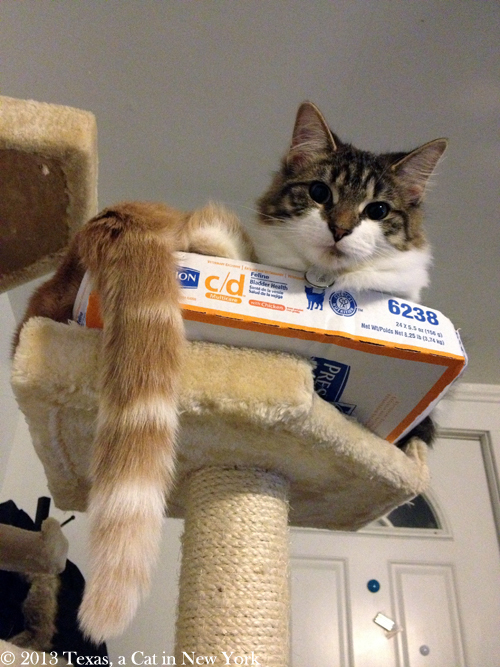 We can really feel a true cat lover behind the plume. If you don’t speak French very well or not at all, you can use them to practice ;-) But the books are also full of beautiful black & white illustrations (a couple in color) by artist Denis Boissier. 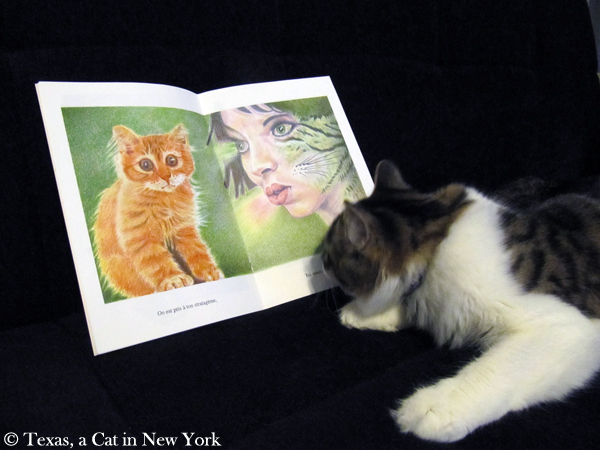 In any case, it will fit nicely in your cat books collection! And they are not really easy to find, even in France! 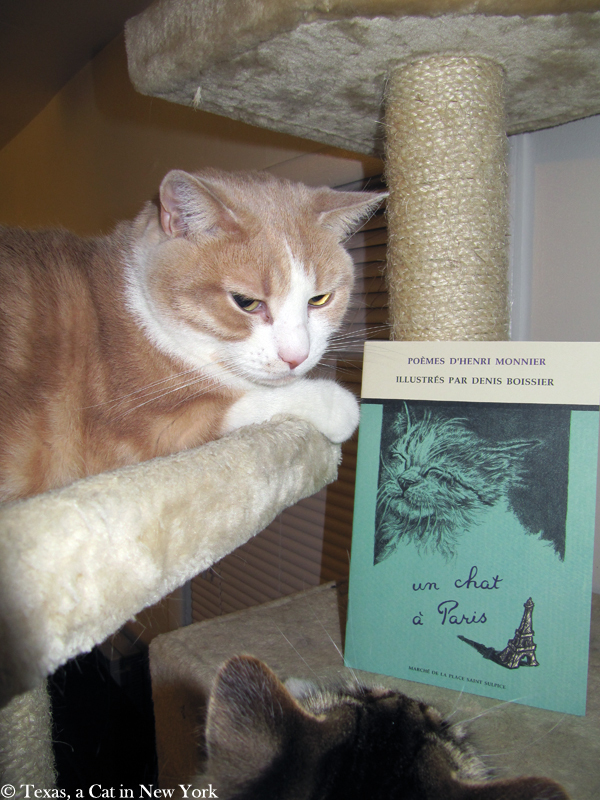 Tomorrow, I will feature two poems, both in French and with a tentative translation from my human. Today, I am featuring an interview with the author and publisher, Henri Monnier. He was nice enough to talk on the phone with my human last December. *** What do you have to do to win one or more of these beautiful books? Use the Rafflecopter widget at the bottom of this post! Answer the two questions and follow the other options if you want to win more chances of winning. The giveaway will end on Saturday and the winners will be announced on Sunday! Now here is the interview with Henri Monnier. Could you introduce yourself and talk a bit about the books? I am 81. 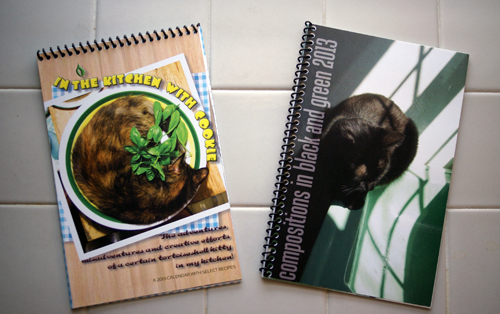 I am a publisher and I had the opportunity to work with many artists. I have many French as well as foreign artist friends. As a publisher, I dedicated myself to artists. I wrote on several subjects. I wrote poetry on life, love, death. Cats made the most successful subject though, and they helped me get noticed and better known. Some of my poems were even published by Hachette. Thanks to cats, the public learned about me. Cats always have a lot of success! 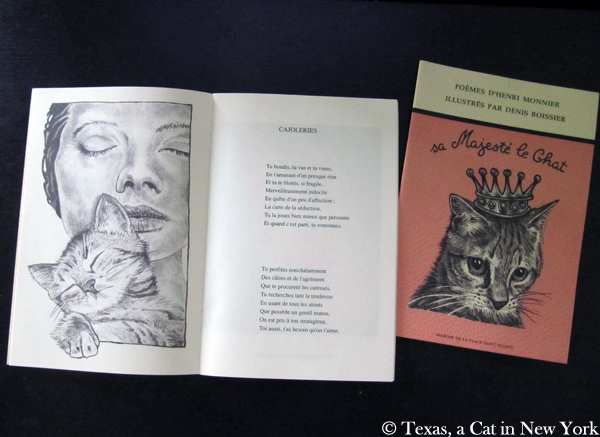 My poems on cats come from my collaboration with an artist friend, Denis Boissier. Unfortunately, he died too young. 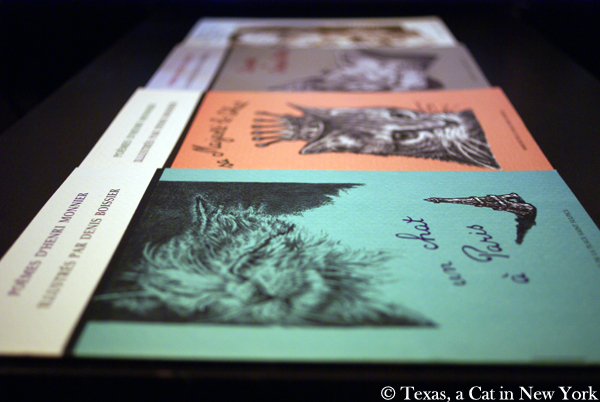 He was drawing illustrations of cats [those in the books] and I wrote the poems to go with them. He was an incredibly talented artist! Can you tell us a little more about the cats that shared your life? I had many cats during my entire life. Next to my workshop, there is a little garden and stray and feral cats always come. You give then food and they come back. Sometimes they stay. They climb on the roof to bask in the sun, they walk in the garden. They generally come one at a time. In winter, sometimes they come near the stove to get warm. Some never come back. Some cats are absconders. I had a tuxedo cat, a grey cat, and a calico female cat who was insolent! You have to be really patient as far as some cats are concerned. You have to adapt to them. I have just buried a cat. He died of old age. That’s how things are. Most of my cats lived to be about 15. That’s a nice age compared to 1 or 2 years for a cat abandoned outside. Cats are wonderful. They have their habits and at the same time they’re full of surprise. Sometimes they hide in places we would never imagine. It keeps us entertained! I also wrote a book about dogs but it was less successful. Among your poems, what are your favorites? 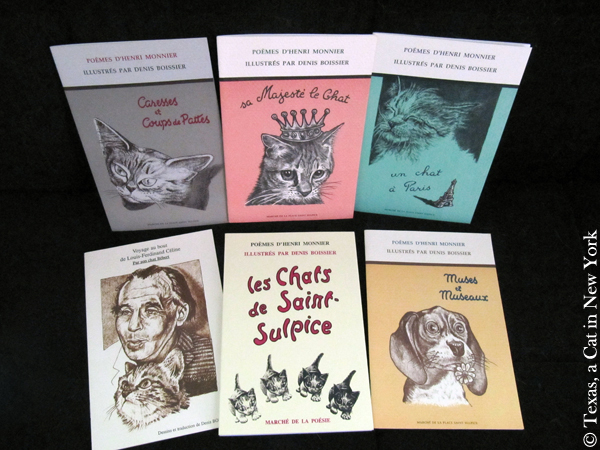 My first collection of poems on cats [Caresses et coups de pattes — Strokes and Paw Blows] was the most successful one. The cat from “Lapalissade” [play on words between lapalissade – statement of something obvious – and la palissade – the fence], a stray cat, was very successful. He really existed! He was a neighbor’s cat. Actually, all stories are real cats stories. 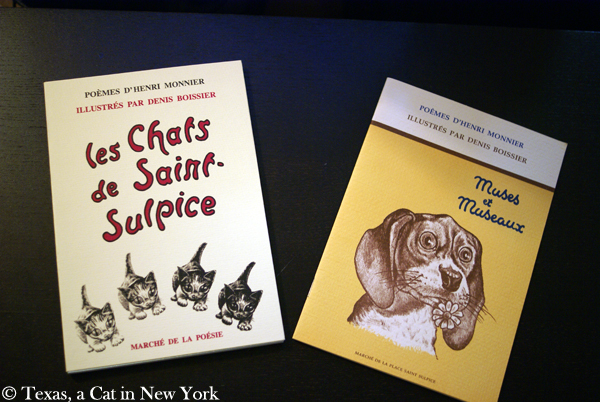 “Mon chat et moi” [“My Cat and I”] was quite popular too. See you tomorrow for two poems!